Today the stem cell field got a double dose of good news. Two CIRM-funded studies from the Gladstone Institutes reported successfully reprogramming human skin into heart cells and brain cells in a dish using different cocktails of small molecule drugs. 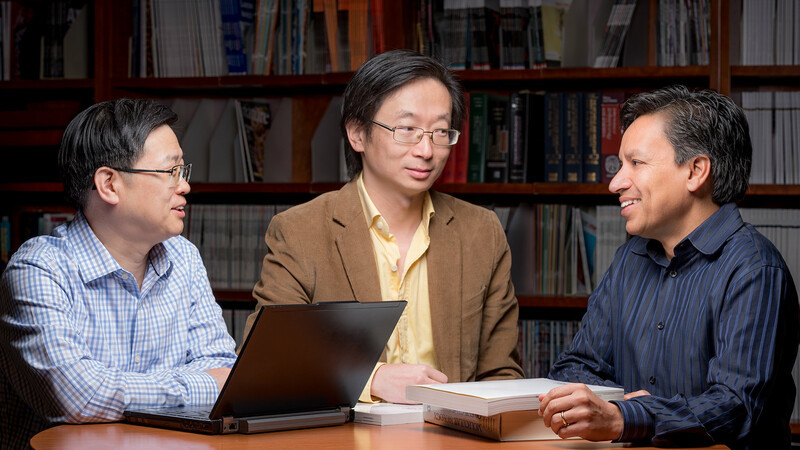 Gladstone Investigators Yadong Huang, Sheng Ding, and Deepak Srivastava. The work was led by Dr. Sheng Ding, a Senior Investigator at the Gladstone Institutes. Ding is a rock star in the stem cell reprogramming field and has published numerous papers that convincingly show that small molecules are an attractive alternative to genetic reprogramming approaches. The ability to generate heart and brain tissue from skin without using added genetic components is an achievement that the field of regenerative medicine has been waiting for. These findings point to a future where drugs can be used to direct the body’s existing cells to regenerate damaged or lost tissue. In the first study, which was published in the journal Science, scientists used a cocktail of nine small molecule drugs to directly reprogram human skin cells into beating heart cells called cardiomyocytes. The team initially screened 89 small molecule drugs that were known to be involved in reprogramming adult cells back to a pluripotent stem cell state. Skin cells were treated with these drugs for six days and then treated with another set of factors that promote heart muscle development. Using this method, they identified a combination of nine compounds (9C) that generated clusters of beating heart cells from skin after 30 days. Upon further investigation, they found that 9C treatment opened up the chromatin landscape (the complex of DNA and protein that make up chromosomes) surrounding genes important for heart development, allowing for the activation of important heart signaling pathways. 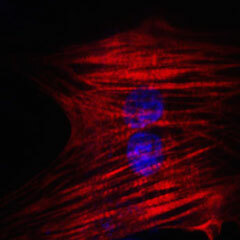 Unlike previous studies whose attempts to generate cardiomyocytes from skin yielded very few heart muscle cells that could beat spontaneously (~0.1%), Ding and his team found that more than 97% of chemically induced cardiomyocytes were able to get their beat on. Furthermore, when they transplanted 9C-treated skin cells into mice that had damaged heart tissue from a heart attack, the cells developed into healthy-looking heart muscle in the damaged area of the heart. 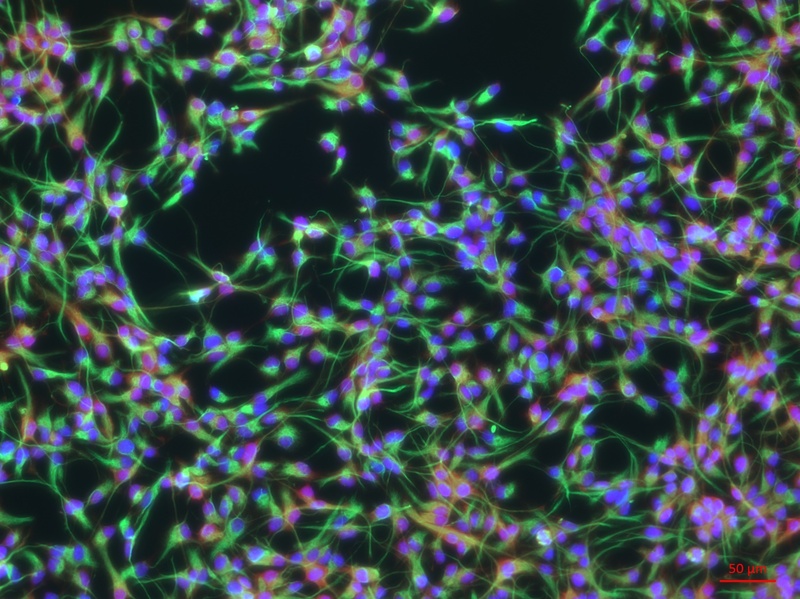 In the second study published today in the journal Cell Stem Cell, Ding and colleagues used a similar but different combination of nine small molecules (M9) to reprogram mouse skin cells into cells that closely resembled brain stem cells. These induced brain stem cell-like cells were able to generate the three main cell types of the brain – neurons, astrocytes, and oligodendrocytes – both in a dish and when transplanted into the brains of mice. They found that the M9 treatment was effective at turning skin into brain stem cells because it activated neural developmental genes in the skin cells including a key gene required for generating brain stem cells called Sox2. Both studies suggest that chemical based approaches to reprogramming have significant advantages over other more invasive methods. Chemical compounds can be easily generated and applied to cells in a controlled manner. They also can interact with the proteins in a cell and activate developmental signaling programs for specific tissues (such as the heart or brain) wit less risk of inserting cancer-causing mutations into the genome. Ultimately, these studies suggest that a patient’s own cells could be reprogrammed inside their body to generate new healthy tissue that would combat disease and injury. Disclaimer: I did my PhD at the Gladstone and my former boss is a co-author on one of the studies.